We all know that our genes determine the properties of our skin. Younom’s laboratory has studied the 11 chains responsible for elasticity, photoaging, hydration and skin antioxidant protection. Through this study, the results enable Younom to develop personal skincare products that are solely based on your DNA information. They use the optimal complex of serums, thus preserving the optimum ‘health beauty and youth’ of skin. Younom study the genetic characteristics of special proteins (aquaporin) that deliver moisture to the deeper skin layers. This enables Younom to assess the skin’s moisture retaining abilities, sensitivity to pH changes and its resistance to UV damage. The cream contains the serum Biomarine Molecular Complex, which enables long-lasting hydration. It is specially formulated with exopolysaccharides, which are produced by some species of marine bacteria to protect them from drying out at low tide. Its power far surpasses the moisturising effect of hyaluronic acid, which is most used in hydrating cosmetics. The cream also contains a blend of exceptional ingredients such as hyaluronic acid, urea, glycerin and almond butter. Within a couple of weeks, the skin’s hydration is greatly increased and the aquaporin in your skin will be continually activated. You will be amazed at the results. Two factors are key when considering the extent of photoaging on your skin: One is your body’s genetically programmed ability to repair the damaged DNA in skin cells, the other is the ability to produce red and black pigments. By analysing genes, Younom can precisely determine UV damage and photoaging. Younom tackles this concern with the use of coenzyme Q10 and the innovative whey Antioxidant Power Active. The high content of biologically active molecules in these ingredients creates a “protective reserve” in your skin, and the cream also combines a UV-filter. The elasticity of your skin depends on both external and internal factors. Younom study specific genes to see how well the skin produces collagen, as well as analysing the impact of external factors (such as UV rays, smoke) to determine the skin’s elasticity. 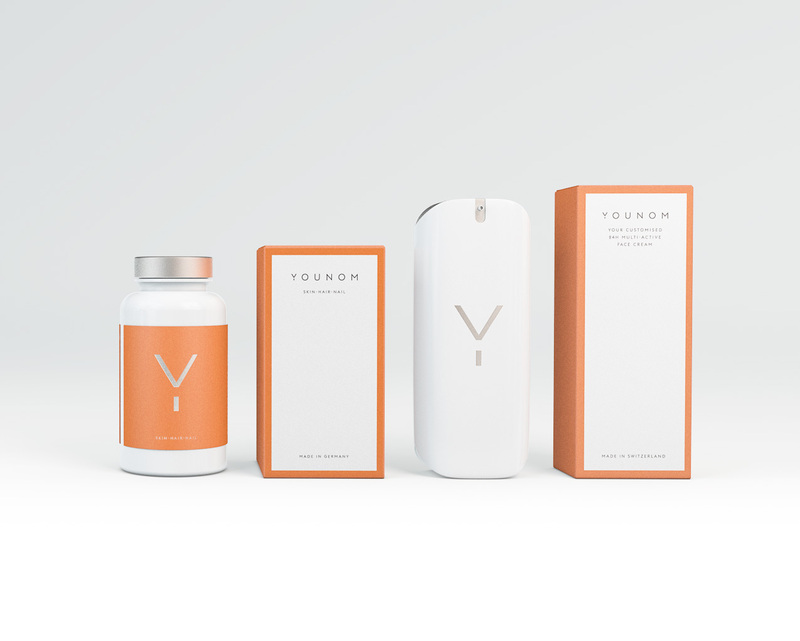 Younom has created an antioxidant-rich cream called serum Youth Tetrapeptide. This prevents the loss of elastin, stimulates the synthesis of Type I collagen in the skin, and restores its firmness and elasticity. By studying 5 of your genes Younom can evaluate the skin’s protective abilities. To trigger your antioxidant system and to enhance the skin’s protective properties, Younom combine trace ingredients and the superior whey Antioxidant Power Active. This in turn, increases the stability of skin cells, strengthening and protecting them from oxidative stress, UV rays, whilst simultaneously improving the overall appearance of the skin. Younom products are suitable for even the most sensitive skin types. Younom offer specially formulated supplements to boost the hair, skin, nails, thus providing optimum and overall health, inside and out. The one-off DNA test is priced at approx £70. The multiactive face cream is £70.